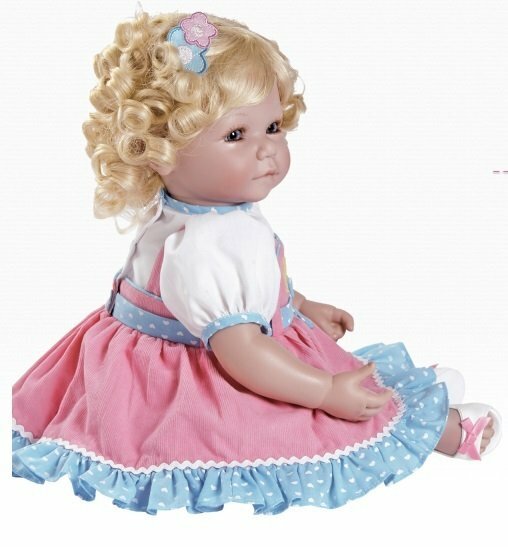 Adora Dolls started their business to produce porcelain dolls. Thankfully, in 2000 they started producing high quality vinyl babies like these we have listed. 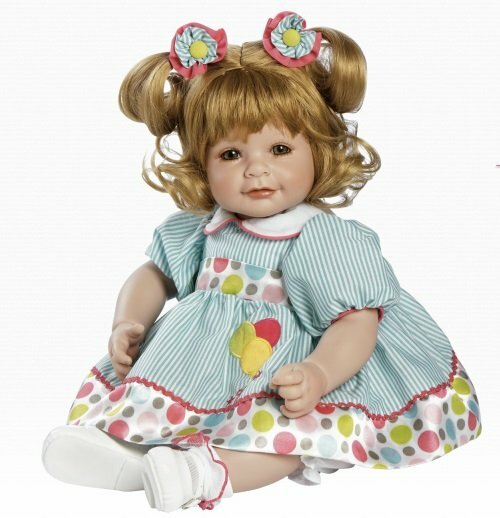 The company was purchased by Marie Osmond in 2009, and quality dolls continued to be produced. 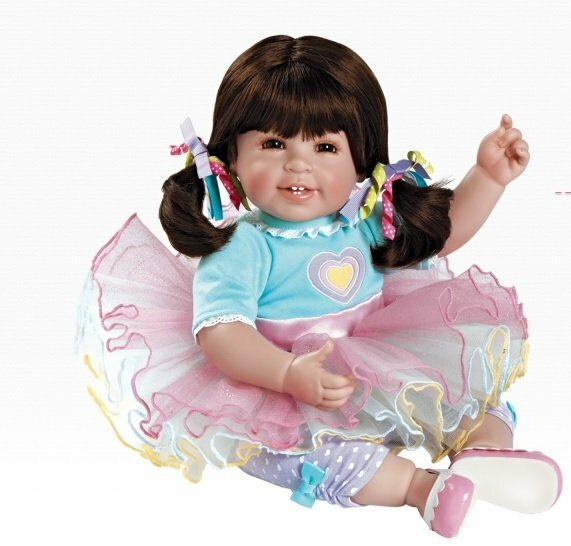 The Adora dolls are very well made, and they are soft, huggable, and most importantly, loveable. Adora Dolls have won many awards on their dolls, and it is easy to see why when you hold one. They also pay special attention to the clothing they choose for each doll. 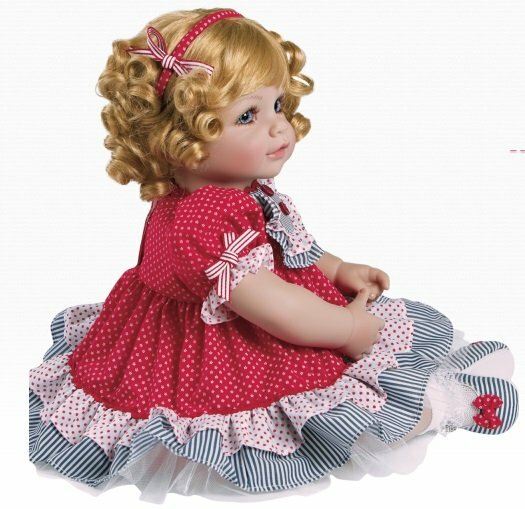 We are authorized Adora Dealers and all the dolls and clothing are new and come in the original boxes and/or packages unless noted. 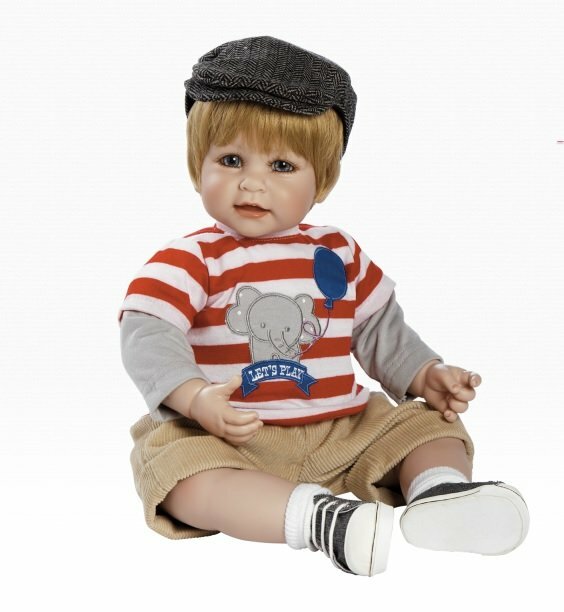 We have taken lots of pictures of our dolls, so that you can view not only the manufacturers stock photo, but additional pictures we have taken of an actual doll in production.